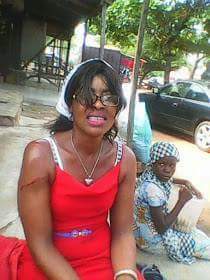 afternoon after she publicly came out to challenge the Governor of Benue State, Samuel Ortom. has betrayed the trust and the mandate bestowed on him by the good people of Benue state. In what could be tagged as overlousness of one of his security aides, he bundled the lady while being assisted by others, threw her out of the church, while she was being beaten blue black by the aides.